This year, TradeWinds warmly welcomes you to attend Shipping China 2017 on 24 October in Shanghai, the maritime hub of the nation and one of the world's most exciting cities. This flagship event that has welcomed over 3000 participants through the course of its 8 previous editions will cover one of the most dynamic shipping markets in the world in an innovative and thought-provoking setting. Back by popular demand and with the theme “Riding on New Waves of Opportunities”, Shipping China 2017 will bring together more than 200 high profile industry experts and thought leaders to share insights on how to capitalise on opportunities and achieve leap-forward development. An International and neutral platform that brings together industry’s key stakeholders from China and overseas for effective networking and forward-planning. Want to walk away with some new business ideas and potential partnerships. In this keynote session, we will have a three-pronged approach to the BRI analysis, namely Chinese, International and Industry perspective. The latter will also touch on the Shipping Outlook in a panel discussion format. 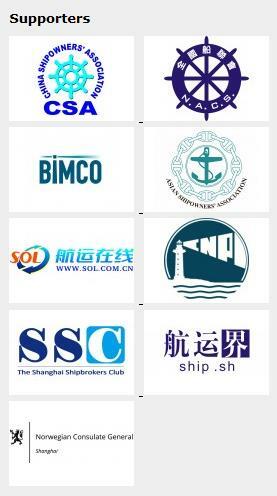 Spotlight on prospects and future developments of Chinese newbuilding, there will be sharing from shipyards on how they are transforming to take the lead in shipbuilding followed by a panel which is made up of public, private shipyards and shipowners who have ordered from Chinese yards. Top Class Societies will share on technological innovations and their implications on shipping. The closing Panel will be made up of prominent Shipowners who are committed to business innovation and capitalising on opportunities to stay competitive and achieve greater success. Delegates can hear first-hand and gain inspiration from their sharing which will shed light on major changes and key trends in the industry. We invite every stakeholder and player in the maritime industry who is looking to gain business advantage and make the best of commercial opportunities in China to join us at this interactive annual event on 24th October 2017 organized in Shanghai’s iconic JW Marriott Tomorrow Square Hotel.